Been thinking a lot about the recent arrests of two black men at a Starbucks in Philadelphia. This isn't a full post on the matter. 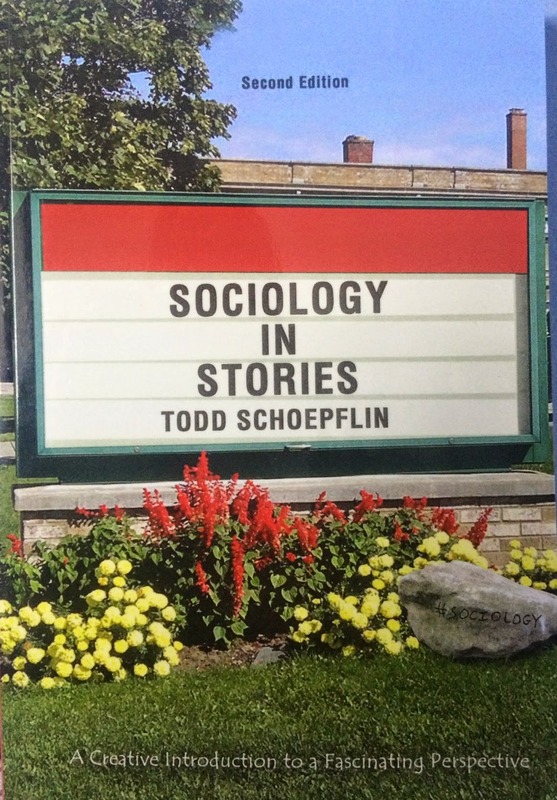 I'm just starting to build a class session in my head for the next time I teach my Social Psychology course. Race and public space. Race and racism in everyday life. Here's what I have on file for now, to be developed into a class session. 1) Robin Roberts' interview of the men (Rashon Nelson and Donte Robinson) on Good Morning America. 2) Jamelle Bouie's article "White Spaces," in Slate. He quotes Elijah Anderson in the article. 3) "Being Black in Public" - also in Slate, an interview featuring Jamelle Bouie, Gene Demby, Aisha Harris, and Tressie McMillan Cottom. 4) "Beyond Starbucks: How Racism Shapes Customer Service" - Alexandra C. Feldberg and Tami Kim. In this New York Times article, the authors state: "Over the past two years, we have investigated discrimination in customer service by conducting large-scale field experiments in the hospitality industry. We have repeatedly found that front-line workers exhibit racial bias in the quality of customer service they provide." 6) "Race, Space, and Belonging" by Neeraj Rajasekar. Includes a listing of pertinent academic articles. As Gene Demby explains in the video, housing segregation didn't happen by accident. What's the impact of housing segregation and how did it create better conditions for whites? Housing segregation means unequal experiences in terms of quality of available public schools, interactions and experiences with police, likelihood of being near environmental hazards, and ability to build wealth. Note: I saw the video on Mark Anthony Neal's NewBlackMan blog, posted here. 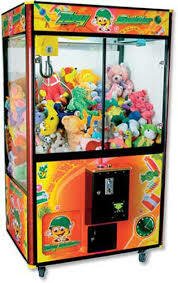 Since the tine my kids became old enough to ask to play the claw machine, I have worked hard to tell them it's a scam and a waste of money. Sometimes you gotta be a killjoy parent. When the moon might be blue we'll give each of our kids a dollar and let them have at it. Today was one such day. Our kids ran across a restaurant and were back in thirty seconds flat after predictably not retrieving a stuffed animal that they would have forgot about thirty seconds later had they happened to grab one. I digress. The point of this is that a couple was sitting near the claw machine, and, apparently having observed our kids experience the agony of defeat, gave them two dollars to try again. This was two more dollars for the claw machine to enjoy for dessert but there was winning in the losing. You see, this was an act of kindness from strangers (albeit within the constraints of late capitalism) and though our kids were twice disappointed, my wife and I were happy to point out how nice it was for these kind folks to try to help them achieve the thrill of victory. Across the room we hollered thank you and thanked them one more time when they left the restaurant. The weekend is only half over but no matter what happens the rest of the way, it has already been a good weekend. 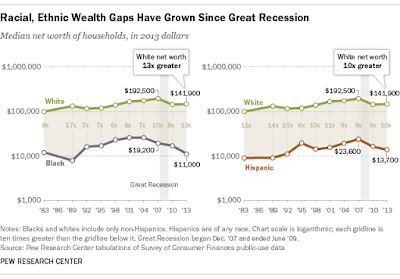 The racial wealth gap was a topic this week in my Social Stratification course. I showed students some background data. 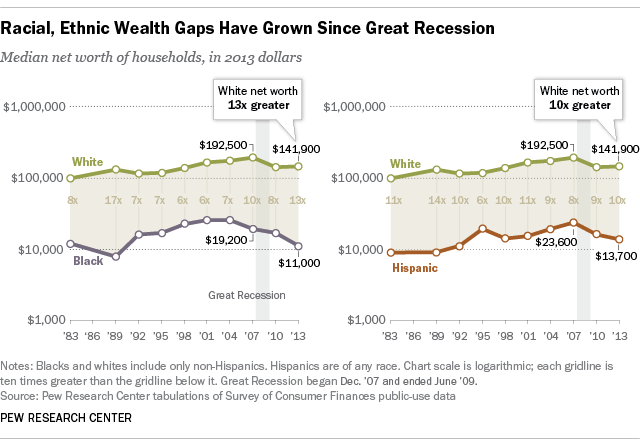 An article from Pew Research Center points out the median wealth of white households was 13 times the median wealth of black households in 2013. 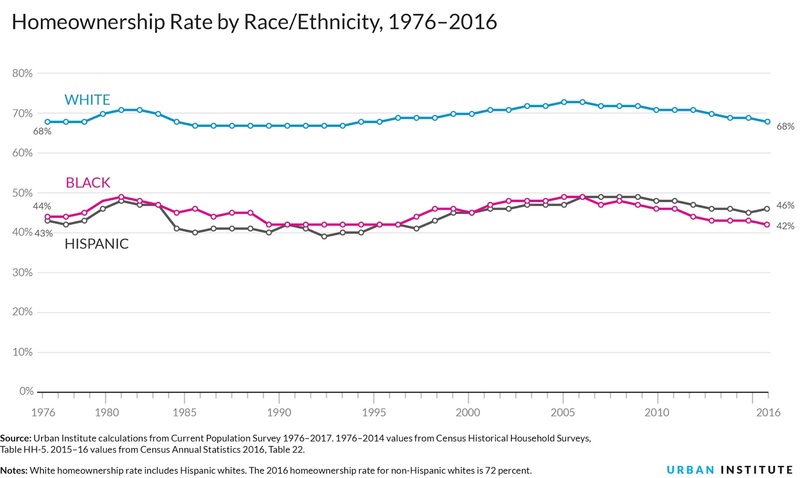 I then presented more current data from the Federal Reserve showing that in 2016, median wealth was $171,000 for white families, $17,600 for Black families, and $20,700 for Hispanic families. 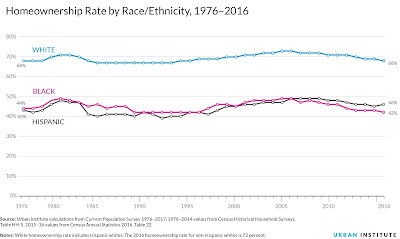 With these data in mind, I covered points from William "Sandy" Darity's article about the racial wealth gap in The Atlantic, entitled "How Barack Obama Failed Black Americans". Darity gives examples of how black Americans have been deprived of wealth throughout history. There was the failure to deliver on the promise of land for former slaves, a.k.a. 40 acres and a mule (Henry Louis Gates Jr. talks about this at length here). I asked my students to raise their hands if they didn't know what the phrase "40 acres and a mule" refers to. A lot of hands in my mostly white classroom went up. Darity also mentions the GI bill -- this post at Demos by David Callahan talks about black veterans being excluded from the housing benefits of the bill because banks wouldn't give loans for mortgages in black neighborhoods. Also, Callahan writes, "African-Americans were excluded from the suburbs by a combination of deed covenants and informal racism." Darity expresses his frustration that then President Obama too often veered into the politics of personal responsibility. Darity writes: "it has been damaging to have Barack Obama, a black man speaking from the authoritative platform of the presidency, reinforce the widely held belief that racial inequality in the United States is, in large measure, the direct responsibility of black folk." Obama would call out black people despite there being, Darity writes, "no evidence to demonstrate that are proportionately more blacks who behave in ways that undercut achievement, especially since it is clear that blacks do more with less." He is also frustrated that Obama didn't pursue bold, transformative policies that could actually reduce the wealth gap. I said to my students that Darity's article could also be titled "Show Me The Policy". He writes: "The Obama administration never gave serious consideration to aggressive transformative universal policies like a public-sector employment guarantee for all Americans, a federally financed trust fund for all newborn infants with amounts dictated by a child’s parents’ wealth position, or the provision of gifted-quality education for all children." "These accounts could provide an opportunity for asset development for all newborns regardless of the financial position into which they are born. The program is analogous to a social security plan that would provide capital finance for young adults to begin a lifetime of building assets and economic security independent of the financial positioning and decision making of the families in which they are born. The program would be universal, but the amount of the account endowment would be graduated on the basis of the child's parental wealth. We envision endowing American newborns with an average account of $20,000 that gradationally rises to $60,000 for babies born into the lowest wealth families. The accounts would be federally managed and grow at a federally guaranteed annual interest rate of 1.5–2 percent. They could be accessed when the child becomes an adult and used for asset-enhancing endeavors, such as purchasing a home or starting a new business. With approximately 4 million infants born each year, and an average endowment of around $20,000, we estimate the cost of the program to be $80 billion. In relative proportional costs, this would have constituted only 2.2 percent of 2012 federal expenditures." This is the kind of bold policy move that could actually help reduce the racial wealth gap!!! By the way, as we see in the following 6 minute video, Americans say wealth should be distributed in a more equitable way! Update 10/22/18: Sarah Kliff at Vox wrote an explainer on baby bonds, and mentions that a proposal by Cory Booker is similar to ideas from Darity and Hamilton. Just finished watching the documentary New Wave: Dare to Be Different. So much good music, this song came toward the end. I'm always happy to hear it.